Health risks in Austria are nothing serious as compared to other regions of the world your company might send you to, but expats are always better off prepared for any possibility. This is especially true for expats who are moving with their children. Expats who are moving with their children should take extra precautions as kids have underdeveloped immune systems; hence, proper awareness of possible causes of illness is necessary. But when someone actually gets sick, it is also important know your level of benefits with your company and that includes for some, access private health insurance. 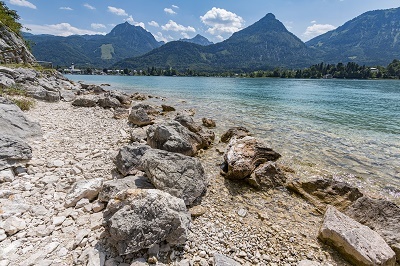 In Austria, one of the diseases expats should be careful with is Hepatitis A which can be contracted through the consumption of contaminated food or water. Although a well-developed country, Austria may have rural areas where food handling practices are not sanitary. In farming villages, it is also common for people to eat undercooked vegetables and even meat. Cooking is a very effective way of killing potentially harmful microorganisms in raw food. Hence, it is important to make sure that food is cooked thoroughly before it is eaten. Another health risk is Hepatitis B which is usually contracted when contaminated body fluids enter a person's system through breaks or cuts in the skin. Health workers should be the most cautious about this disease, especially when they are always dealing with body fluid samples as part of their job. Expats who may possibly have active sexual relations should also take the necessary precautions as this disease is also transmittable through sexual activity. Although these diseases exist in the country, none of them pose very serious risks. This is the reason why vaccinations against them are not required by the government, although these are recommended for safety reasons. Still, for expats, international health insurance in Austria can help anyone manage anyexpatriate health insurance needs.